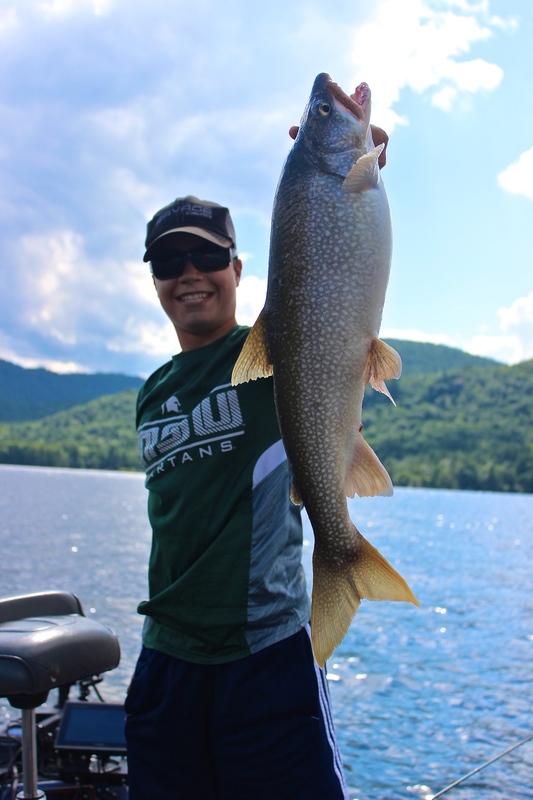 It's a personal goal of ours this summer to learn how to fish Lake Trout on Lake George. But we really don't want to learn how to troll for them - we want to learn how to jig for them. Well, today we turned a corner on the Lakers. We went 3 for 5 in a little over an hour of jigging this afternoon. Water temps were almost 75 degrees. 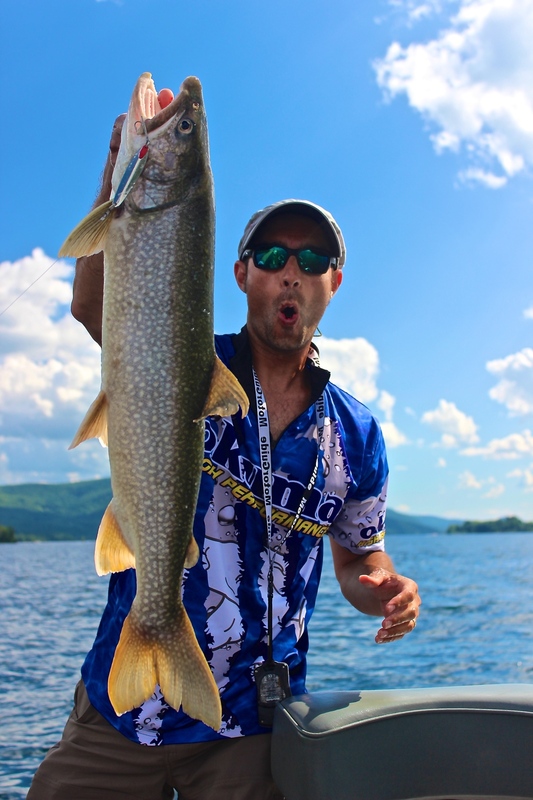 We fished jigging spoons - Swedish Pimples - red prism and pearl prism in about 100' of water. The key was a good jigging rod and reel. Absolutely love the 7' MH helios spinning rod and reel, paired with 10/2 Gamma Torque braid with a 6' Gamma Edge 16 lb. fluoro leader. Amazing fish and amazing memories. Will post video tomorrow!